After over 30 years in the car business, the Cecil Atkission Automotive Group draws its personality and much of our culture from our founder and namesake. 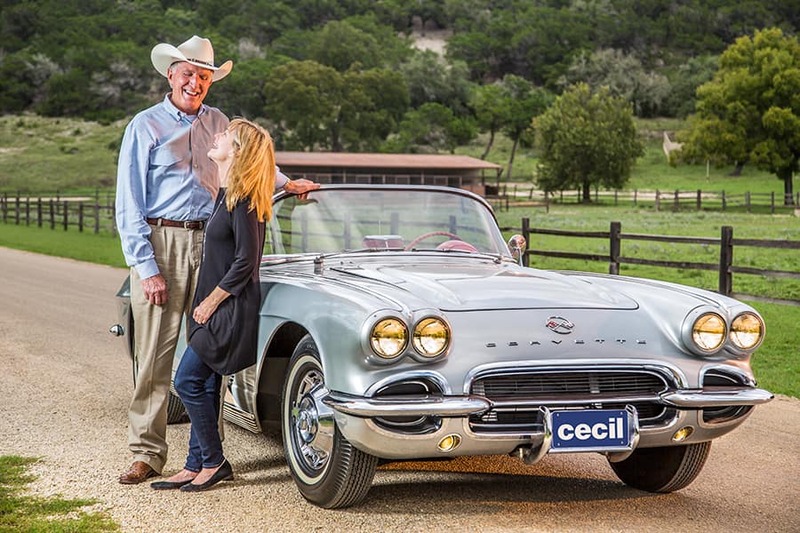 Cecil Atkission started the business after serving in Vietnam and rising through the ranks at Capitol Chevrolet in Austin, Texas. His wife Nancy grew up on U.S. Air Force bases around the world as her father, a jet pilot, met his assignments throughout Cold War duty stations. Some of their employees say it is just because Cecil and Nancy are real, friendly, and kind people. Others, very familiar with them, will tell you that a very conservative entrepreneurial stream runs through their veins. As the manufacturers began to notice his prowess in pleasing customers, opportunities began to develop to acquire new vehicle franchise dealerships in Texas. First, with General Motors and Chrysler Corporation and eventually with Ford, Lincoln, and Toyota, the Cecil Atkission name began to stand for fair dealing, easy transactions, and a fun business atmosphere. Growth and opportunity have attracted top-rung corporate talent to the management team—including Corporate Vice President and General Managers, Tate Richburg and Tommy Atkinson, and General Manager, Scott Barlow— plus, the newest rising star—General Sales Manager, Trey Atkission. Capable, intelligent dealership management is a hallmark of the Cecil Atkission culture. General Managers make sure the Cecil Atkission dealerships are good corporate citizens in our local communities—demonstrating servant leadership in our home cities. Leading our enterprises and representing their communities is another of cadre of brilliant managers delivering the Cecil Atkission culture locally—people like Shahin Salehoun in our Orange, Texas location, Louis Cozby in our Burnet, Texas location, and Victor De Los Reyes representing us in Del Rio, Texas. Why is Cecil Atkission Motors Uvalde the Go-To Spot for Crystal City, Cotulla, Eagle Pass, Del Rio, Carrizo Springs, and Leakey Drivers Seeking a New or Used Chrysler, Dodge, Jeep, Ram Vehicle? Still not clear about why so many trust Cecil Atkission Motors Uvalde for all of their Chrysler, Dodge, Jeep, Ram needs? Visit our dealership at 2630 East Main Street, Uvalde, TX, 78801 and find out for yourself!